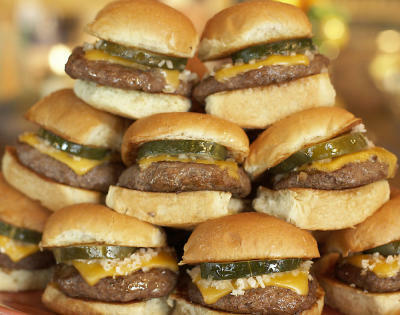 Americans love hamburgers – we each eat an average of three a week. But what are the hidden costs? It turns out that livestock create about as much greenhouse gas pollution as cars, planes and other forms of transport. They also take a heavy environmental toll on land and water worldwide. How can we reduce our impact? Learn more in this animated short from the Center for Investigative Reporting. Funny…I’m pretty sure other awesome person wrote something like this a couple of years ago. Hm. Does this help make it easier to cut back a bit on the cow? Or are you still chowing down? I rarely eat a Burger, but if I do, I make my own buns and buy grass fed beef that is local. I suppose someone is making up for my Burger deficit as you quoted Americans average 3 a week! I don’t eat many beef burgers these days. All we have to do is eat less burgers and DEMAND grass fed cows. We need to get the government to stop making it OK to feed cows corn. Supply responds to Demand! Yep – It’s an easy one – just become a vegetarian and encourage others to do the same. There is an over abundance of cows around the world purely for beef and it’s one of the highest costs to our environment as you say in the article. It’s easy being a vegetarian and good fun too – plus you feel heaps better.